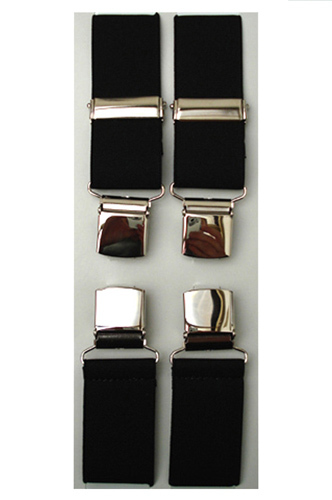 These very good quality black braces are fully adjustable and come in a presentation box. They are 1.5" wide and come with two strong clips for the front of the trousers and two for the back. Recieved my order this morning after ordering only two days ..